Add a vibrant red to your day with these Fall Leaf Favor Boxes! Place chocolate, candy, or even cake in these for your guests to take home. This is a clearance item, while stocks lasts only! 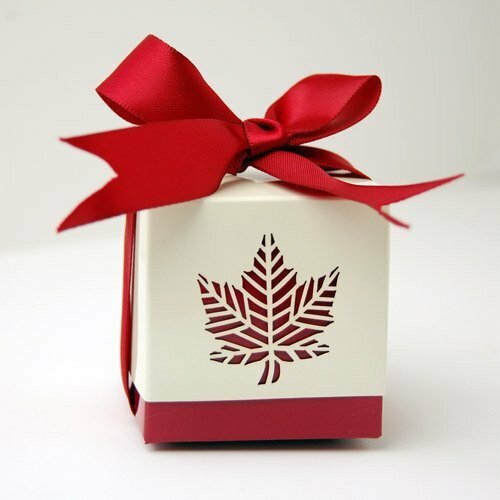 These DIY boxes include a red base and a cream white lid with laser cut maple leaf, topped off with a red satin bow.